I know most of us are not only fair-weather grillers, but still, there's something magical in the air after grilling season comes to a somewhat official start on Memorial Day. Everywhere I turn, I feel like the grilling gods are once again shinning down on us—stores pile bags of charcoal out front, butchers fill their cases with the best cuts for grilling, and pyramids of barbecue sauce await you at the entry of many groceries. This is our time, and I feel a need to make the best of it. 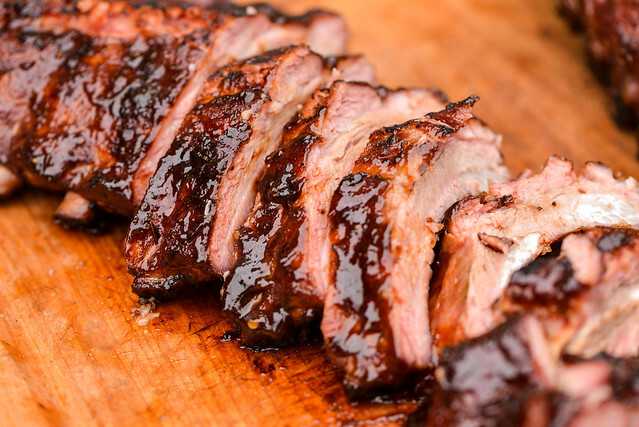 When it comes to kicking off the season at home, there's nothing that fulfills the desire more than ribs. 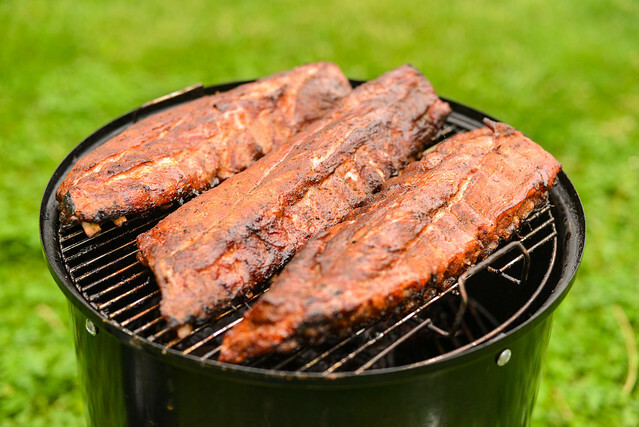 Let everyone else have their burgers and hot dogs, for a man who loves smoking and is in it to win it, ribs are the way to go, and that's exactly how I celebrated Memorial Day this past weekend. 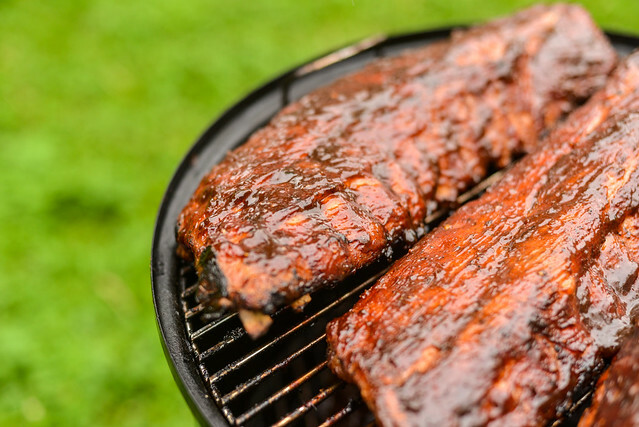 If you're looking for a little extra inspiration this summer, I have a recipe that captures everything you'd want in a rib with a bit of a twist—balsamic-glazed baby back ribs. 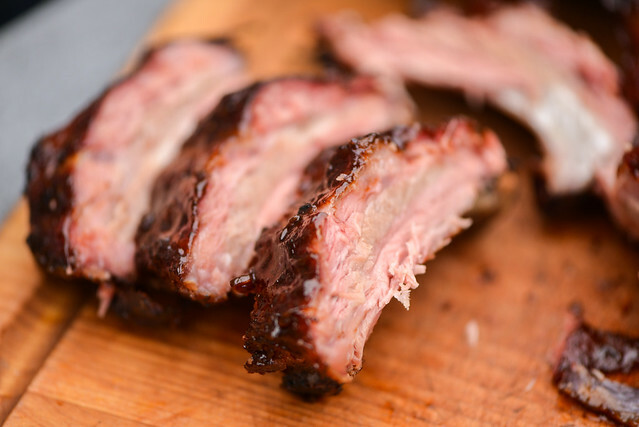 The defining characteristic in these ribs is sweet and tangy balsamic vinegar. This comes in the way of a balsamic barbecue sauce. I have a detailed account of what goes into this sauce and the thought behind it, but to sum it up...balsamic vinegar is first reduced down to a thin syrup. Complimenting flavors are then built around the balsamic like shallots, garlic, Dijon, honey, and white pepper. 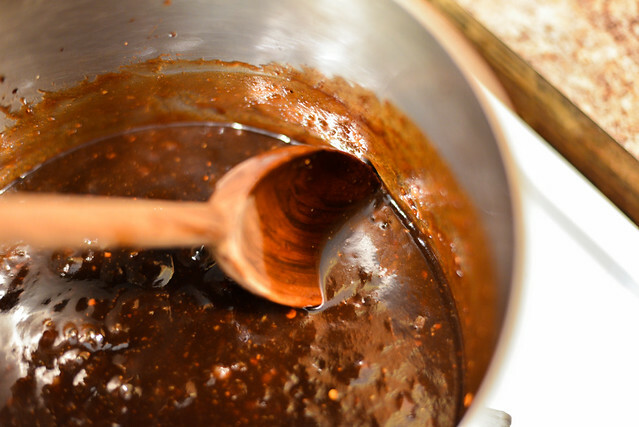 The sauce also gets the standard barbecue character in the form of ketchup, molasses, and dark brown sugar. The final sauce has barbecue feel with a distinctly balsamic character. When considering a rub for these ribs, I wanted to further compliment the balsamic and moved away from my standard recipe a bit to accomplish that. 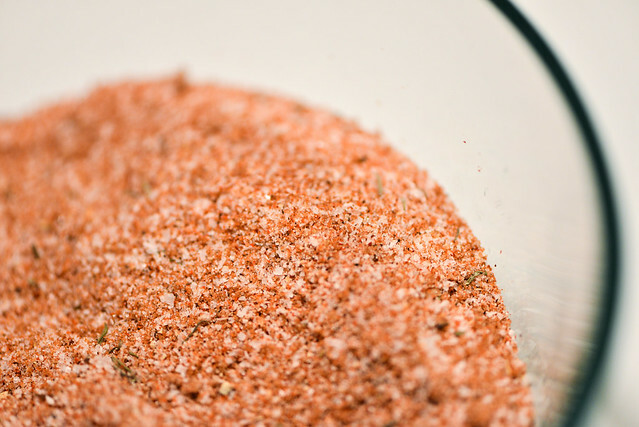 The main change is the heat source that is built in four layers with the unique bite of white pepper, standard black pepper, earthy Szechuan peppercorns, and a little cayenne for a slight burn. The rub also features thyme, mustard, and garlic powder, all of which I thought would play well with the vinegar. I went for a few racks of meaty loin backs here, but the spares will work just as well. After being trimmed and removing the membrane, I gave the ribs got a healthy coating of then rub and then were set them aside as I fired up the smoker. As the smoker hit 225°F and the wood was releasing its sweet aroma, it was time for the ribs to go on. Although I'll cook ribs year-round, something about the combination of Memorial Day and ribs imparts a feeling that these are more special than normal, representing a symbolic leap to the start of a communal backyard ritual that's steeped in tradition that I'm so proud to be continuing. 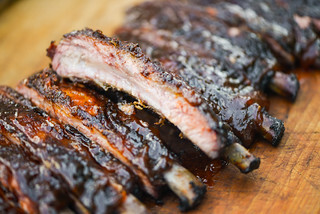 As the ribs began to reach the end of their cook—after about 4 hours—I slathered on a heavy coasting of the balsamic barbecue sauce. 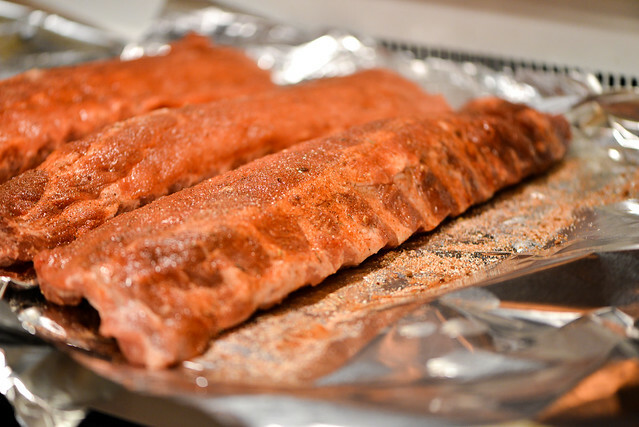 They sat on the smoker for thirty minutes more to finish up and give time for the sauce to caramelize. Whenever I have the grill going too, I like to take the extra step to further set sauce over direct heat. This gives the ribs bits of char here and there, and sometimes renders the sauce even glossier and more attractive. 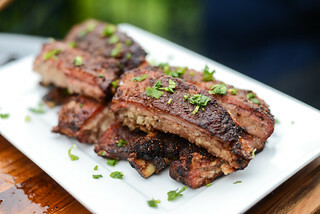 These may look like everyday ribs, but the balsamic makes a pronounced difference, thanks to a distinctive acidity that melds well with the sugars and peppers in the rub. Combine this with the tender and smoky meat, and you have everything you could wish for in backyard barbecue, making them a great recipe for your backyard this grilling season. 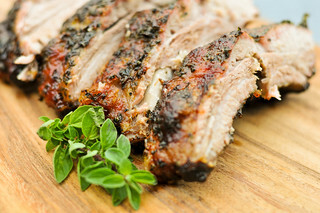 These may look like everyday ribs, but a balsamic-based barbecue sauce makes a pronounced difference thanks to balsamic's distinctive acidity, plus a unique rub that melds that's designed to compliment the flavor of the vinegar. I have made these several times and they are by far the best ribs I have ever had. And the sentiment has been repeated by EVERY guest who has tried them. 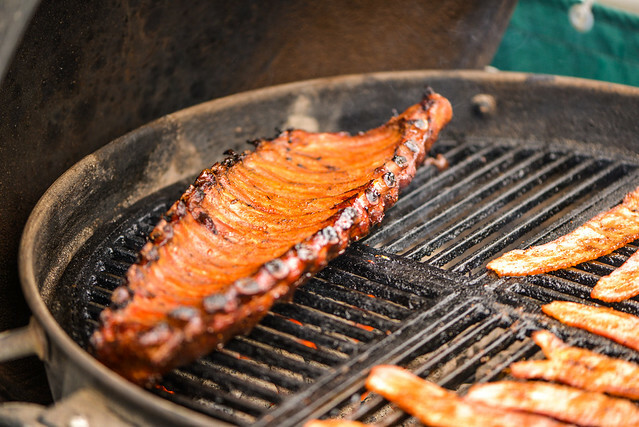 I am a novice smoker/griller and you cannot go wrong with this recipe. Mind blown. Life changed. Yes, they're that good! Awesome write up and pictures. I also smoked ribs for Memorial Day. Already itching for more! why no foiling of the ribs? @bk all day I don't always foil my ribs. I do for competition because it tends to result in a bit moister, and more consistent ribs, but it's not a totally essential step. If I'm cooking for myself or friends in large quantities, like I was when making these ribs, foiling just ends up taking more time and effort than it's worth in my opinion. Where do you find Szechuan peppercorns? Are they whole or pre-ground? San Francisco Herb Company. Whole. I grind them myself.